We believe we are only as good as each member of our team. Since HGC says Best is Standard, that means our approach to recruiting, hiring, empowering, training, and retaining employees meets that standard. The best in equipment, technology, benefits, training, and more. Hoopaugh Grading Company is an Equal Opportunity Employer. We respect and seek to empower each individual and support the diverse cultures, perspectives, skills and experiences within our workforce. 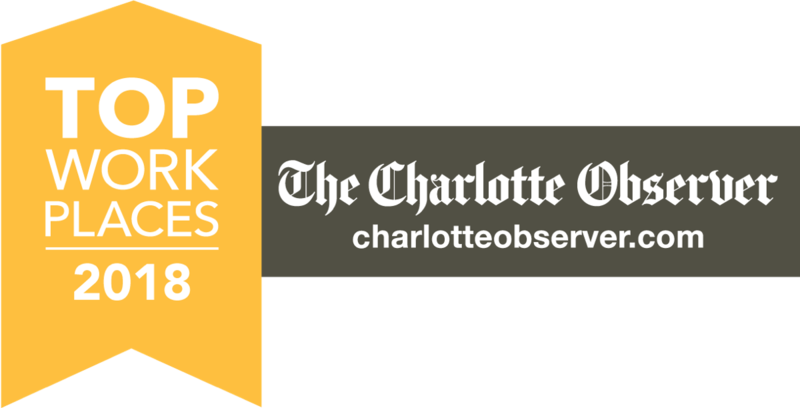 Hoopaugh Grading was one of only 60 companies recognized as Top Workplace by The Charlotte Observer in 2018. These companies have been recognized based solely on surveys about the workplace completed by their employees. In addition to placing 3rd overall in the Midsize Company category, HGC’s owner Brian McManus also received the Leadership Award for the entire category.